Description: , 1921. Ephemera. Very Good; Enticing, Alluring, Fascinating Beauty, Powders the Skin and Keeps face Powder On. Advertisement is signed by K. Deal. LaMeda Mfg. Co. Chicago, Illinois. Advertisement is 5 1/4" wide and 7" high. Advertisement is in very good condition, suitable for framing. 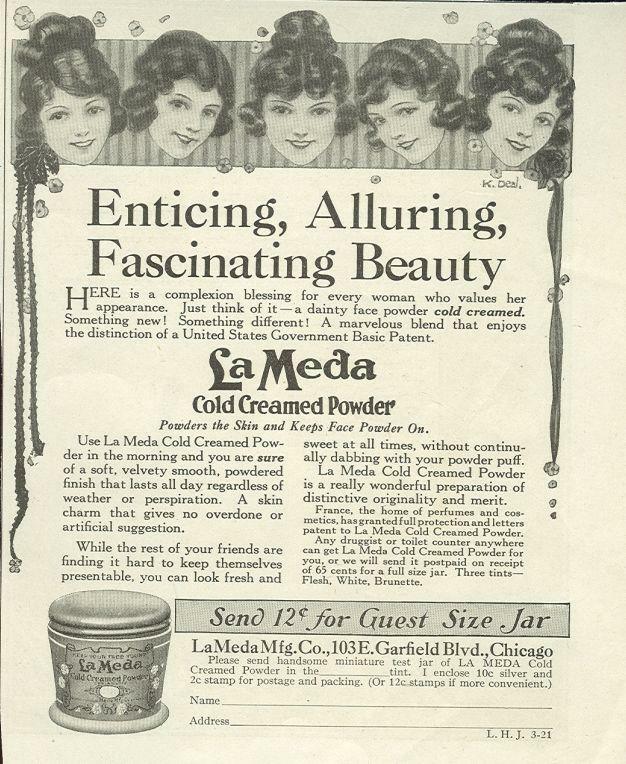 Keywords: Advertising Lameda Face Powder Beauty Ephemera Beauty Ephemera Chicago Chicago, Illinois Face Powder Deal, K.